Streaming media services have increased our consumption of video content exponentially, and although, the TVs have done a great job of adapting to the ever-changing demand, projectors have not slacked off. In an age of 4K video streaming and movies, there are many projector brands who have jumped on board the train and started offering 4K ready or pure 4K projectors. One such brand is BenQ. 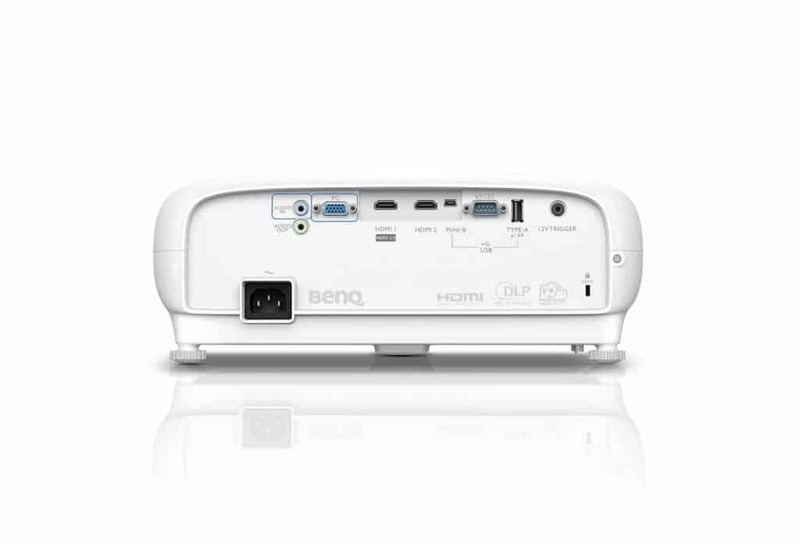 The BenQ TK800 features an amazingly simple yet impactful design. While most of the chassis is similar to the HT2550 model, the slight change from an understated grey face to a more refreshing blue one is a welcome change and while projectors are not exactly lookers, the TK800 might just be turning the tide in that aspect as well. When it comes to the connectivity, the BenQ TK800 is fully loaded and some more. The most notable of all is the two HDMI ports. One of the ports is for the standard 1080p device connections. The other HDMI port, however, has HDCP 2.2 which allows users to connect 4K devices as well. We also have the VGA port for older PCs, 3.5mm audio inputs and outputs. We also have a 12V trigger in case you want the projector to automatically power on with the other devices. The TK800 also has small speakers that play basic sounds but it is highly recommended that you invest in an external setup for the best effect. You can even hook up your favourite streaming devices to the TK800 and a good A/V receiver should elevate that even further. Just make sure that the receiver is 4K enabled so that you can use the TK800 to the maximum potential. The HT2550 featured a splendid image processing chip and the TK800 has the very same powering it. What we are talking about is 8.3 million pixels and a unique HDR processing that seeks to provide optimal balance and contrast. One area where the TK800 outshines the HT2550 is the brightness. While the latter had a decent 2200 lumens of brightness, the Tk800 features a power-packed 3000 lumens of brightness. This makes the TK800 an instant go-to choice for indoor conditions where ambient light is a factor. Another neat feature is the 1.2x optical zoom which makes it easy to place slightly closer to the screen than usual without losing quality. It also features an automatic keystone adjustment which justifies the image from all sides giving you nothing more to do than to just sit back and enjoy the content. We also get a slew of inbuilt picture display modes in the TK800 which can be used at our discretion. The TK800 does not feature an extra lamp, but the one included does have a rating of 4000 hours on full lamp mode and 15000 hours on smart eco mode, which is more than decent as far as projectors go. Yes, the HT2550 may be offering slightly better lamp hours but considering how much brighter the TK800 is, the numbers are more than justified. Coming to the actual performance, the BenQ TK800 performs very well in both dark and brightly lit conditions. While its common practice to use projectors in as dark a room as possible, the TK800 has the capability to give you a powerful output even in decently lit conditions. One recommendation is that you should definitely try the TK800 in completely dark conditions because the image output is absolutely gorgeous. Yes, there are some slight nags like sporadic colour bleeding near the edges, a problem that was found in the HT2550 as well, and BenQ could possibly work on that front for their next iteration. However, at a $1500 price point, these things are acceptable considering how the pros overshadow the cons. 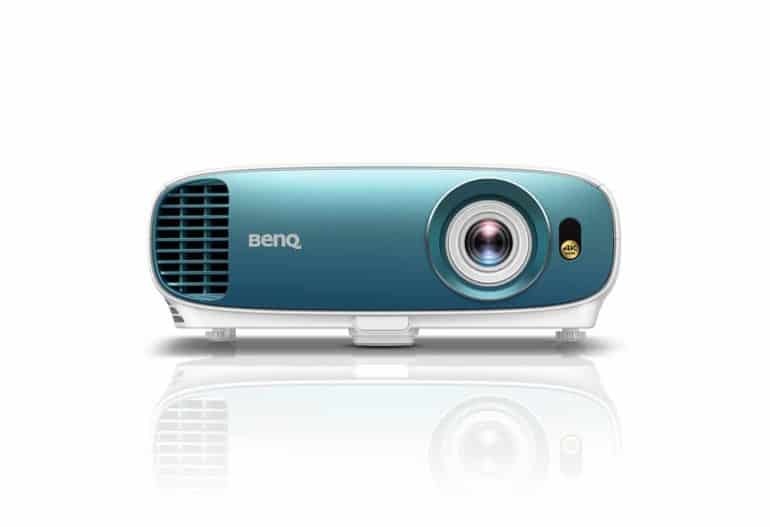 All in all, the BenQ TK800 is a superb projector with the capability to go toe to toe against more capable TVs and even other projectors in the market. Definitely, a must buy for people looking for a projector that will turn their humble setup into a mini theatre.